A fortnight after the start of the Sprint Cup, it is now the turn of the Endurance Cup, the other championship of the Blancpain GT Series, to kick-off. The world’s GT élite will again enjoy the warm embrace of Italian fans, as it is another track in the peninsula to host the Endurance Cup season-opener, and no less than the Autodromo Nazionale di Monza, one of the paramount temples of speed. 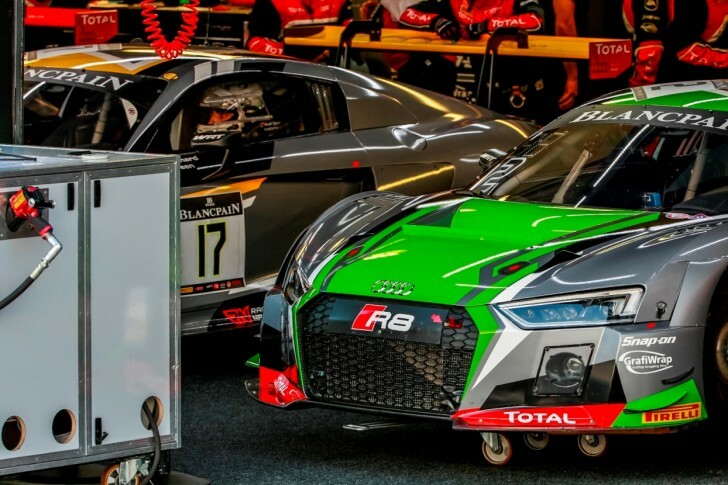 After a difficult weekend at Misano, the Belgian Audi Club Team WRT is hoping in a completely different scenario, although knowing that the long straights of Monza have never been particularly friendly to the Audis R8 LMS. Still, a race of 3 hours is a completely different game and the team is extremely motivated to do well and exploit to the fullest its expertise in longer races. Four cars will be entered and the 2017 driver line-ups are full of changes and promises! Car #3 will also see a welcome returnee, as Niki Mayr-Melnhof is back with the Belgian Audi Club Team WRT after a few seasons. The personable Austrian will have as team mates two newcomers, young guns Josh Caygill from Great Britain and Australia’s Jonathan Venter. Finally, car #17, will combine experience and youth, as newcomer Jake Dennis joins the team and GT racing from GP3, alongside Stuart Leonard and Robin Frijns, who start their second and third season, respectively, with the team. This line-up, though, is experiencing a last-minute change, as it was known today that Robin Frijns has to withdraw due to a knee injury yesterday while training. It will be an expert driver such as Markus Winkelhock subbing for the Dutchman in this situation of force majeure. Action at the Autodromo will start on Friday, with qualifying scheduled on Sunday morning and the “3 Ore” kicking-off at 14:45 in the afternoon.